Welcome to Willow Ridge Apartments. We have an optimized screen reader version of this site available. The absolute best location! 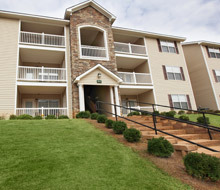 You will be within walking distance of restaurants, shopping and movie theaters. Only a 15 minute drive to Maxwell and Gunter AFB's and State and Federal Buildings in Montgomery. Robert Trent Golf Trails, Highpoint Town Center, Lowes, Belk's, J.C. Penny's, Bass Pro and Hobby Lobby to name a few, are all within a couple of minutes walk or drive. Easy access to Interstate I-65. Our six stylish one, two and three bedroom floor plans are creatively designed with attractive amenities to enhance your lifestyle. Our spacious kitchens with a full appliance package, built-in pantries, ceramic tile, nine foot ceilings, plush carpeting, oversized closets, outside extra storage, and washers and dryers are just a few of the standard features you will find. These residences are sure to please and inspire! 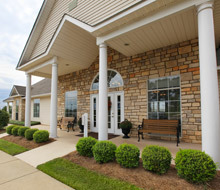 Become a resident of Willow Ridge Apartments and gain access to all the wonderful community amenities and services we offer. 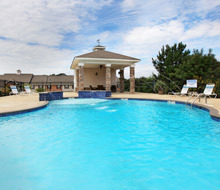 Community features include 2 refreshing pools with sun decks, a clubhouse, high speed internet access, a fitness center, community events, beautifully landscaped grounds, professional management and more! 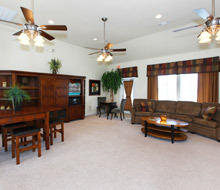 Willow Ridge was designed to compliment your personal lifestyle and provide convenience for stress free living.